A monumental sculptor, Alexander Caldwell worked briefly in the partnership Handcock & Caldwell at Caledon Place, Gorbals, in 1862. A year later he set up on his own at 106 Caledonia Road in the Gorbals, and later named his firm A. Caldwell & Co. His final listing in the Post Office Directory was at 434 South Wellington Street, in 1875. 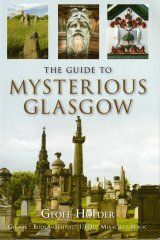 Caldwell signed the stones to Gavin Lennox (d.1848) and James Clark (n.d.) in the Necropolis. An example of his work elsewhere is the monument to farmer James Strang in Paisley�s Woodside Cemetery (1868).